In May, Anago Cleaning Systems, Fort Lauderdale, Florida, announced that Adam Povlitz would take over the role of company president from his previous role as executive vice president. Adam is the son of company founder David Povlitz. Before starting at Anago, Adam worked at IBM, which gave him firsthand experience on how to successfully manage large, growing companies. 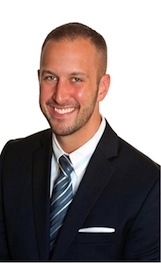 He also has a number of business degrees and certifications including an MBA from the University of Miami and a Lean Six Sigma Green Belt, and he is an IFA Certified Franchise Executive. Throughout the years of Adam’s tenure with the Anago brand, he worked closely with Mollica, who is an original founding partner of Anago and the current Master Franchise Owner in Jacksonville, Florida. Mollica began his career in the cleaning industry as a Unit Franchisee with a different brand but disliked how the Unit Franchisees were treated in that system. Partnering with David Povlitz at the onset of Anago’s creation, Mollica has been instrumental in the creation of Anago’s franchise system, and ultimately passing down a wealth of knowledge to Adam throughout his career. As a young business executive beyond his years, Adam is charged with building on the success the brand has seen so far in its lifecycle. Continuing to outperform his entire career, Adam noted that he is very excited for the opportunity to lead Anago into the future. Under Adam's leadership, Anago is currently looking to add Master Franchises in strategic key markets such as Chicago, Houston, New York, New Jersey and Connecticut.